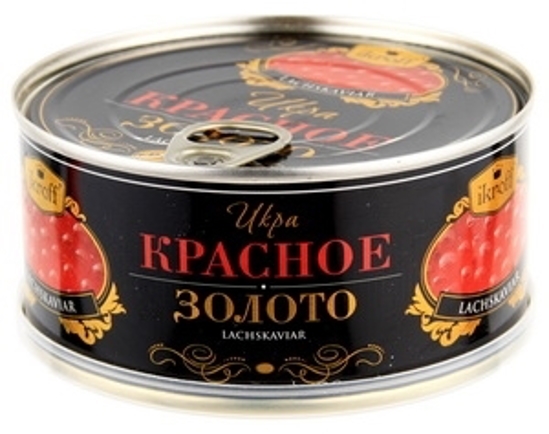 Caviar, Salmon, Red "Krasnoye Zoloto", Erste 300g - Russian Food Online Shop "Babushka"
Light-orange caviar with medium-sized oily eggs.) Soft and well-designed pearls of caviar create a homogeneous mass that reveals the whole spectrum of gustatory sensations. Pink salmon roe is a traditional delicacy and decoration of a festive table. This is the most common and at the same time having the best taste qualities of caviar. Packing canned gift. You can surprise and please your German friends by acquainting them with the unforgettable color of Russian delicacies. 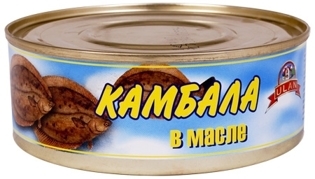 The can of caviar is easy to open and decorated so that it can decorate any feast. Due to its consistency it is easy to smear on a slice of white bread and is perfectly combined with the taste of fresh oil.